Find out what makes our approach and our studio so unique. 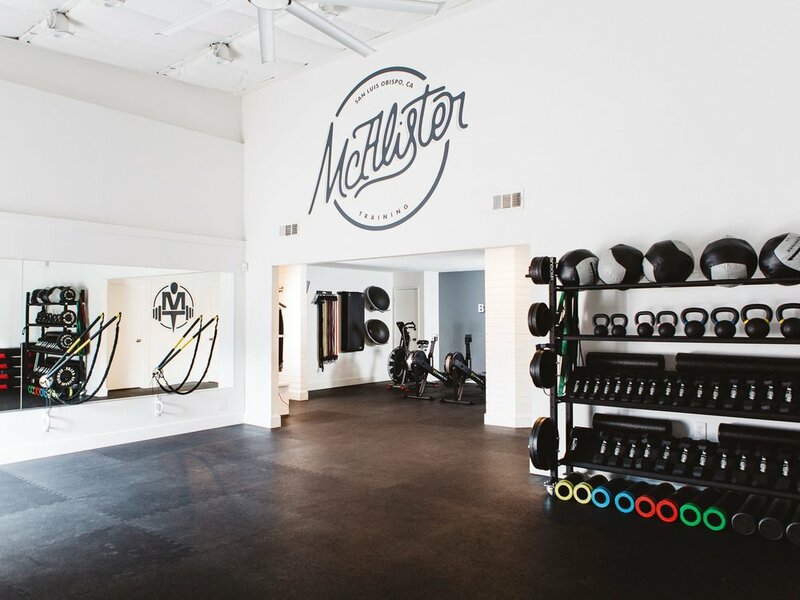 At McAlister Training we’re all about approachable, effective, and fun circuit training. We’re big on high energy, not high intimidation. We’re big on hustle, but bigger on heart. And most importantly, we love our San Luis Obispo clients like family — because to us, they are family. Our studio specializes in small group circuit training classes that combine cardio with strength training and emphasize functional movement and proper form. With small groups (less than 12), our workouts can be easily adjusted to fit individual needs and happily accommodate a variety of fitness levels. Our small-but-mighty space offers everything necessary to get in a great workout, including experienced instructors, versatile equipment, and a positive team environment. At MT, we don’t believe in a “one-size-fits-all” workout, nor do we prescribe to the "no pain, no gain" mantra. Instead, we offer challenging workouts that encourage our clients to work hard and modify when necessary. Above all, we believe in having fun, befriending our workout partners, and giving post-class high fives. Ready to try a workout on for size? Here's what to expect at your first class! We can’t wait to meet you.